Limestone is a rock that is metamorphic and nonfoliated, it is composed of calcite (which is a form of crystalline calcium carbonate). Limestone comes in various shades of black, brown, gray-white and yellow. We get asked about our limestone polishing service, in some instances you might not need a floor polish to your limestone to see a brand new shine but that if your floors are maintained properly. For our clients that want their limestone floors to look better would want to inquire about diamond polishing services which will leave a natural shine. The process of polishing limestone differs than marble or travertine. Limestone can be a difficult stone to finish because of its softness. Knowing the right abrasives to apply to your floors is an important factor in polishing limestone floors. Modern Stone Care use a light abrasive to get rid of etches and scratches. Typically, limestone is factory polished but they still need to be re-polished because of a standard installation. We take the floors and sand them to a satin glow and then apply medium or high polish based on what the customer wants. Regardless of how amazing the polish is your floors still need to be regularly cleaned and maintained. The expert flooring specialist at Modern Stone Care can achieve the elegant glass-like polish along with honing or applying a soft matted finish this will be inviting, warm and smooth to what you prefer. We also offer regular flooring maintenance for your limestone floors. Our technicians are highly trained and certified and use eco-friendly products to produce gold standard service for your limestone floors. 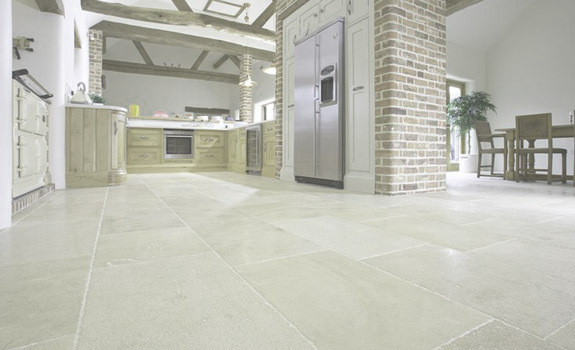 Modern Stone care use the latest flooring technology to give your home the best and natural results. You can see what a difference we can make to your limestone floors, it’ll be like night and day. From dusty old floors to sparkling mirror reflecting shine new floors. To learn more about our limestone floor polishing service and how to improve your home with regular maintenance contact the natural stone polishing specialist at Modern Stone Care.